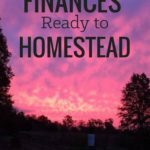 Before your turn your homestead passion into a business, learn about the risks and responsibilities of creating a homestead business in this article. 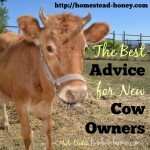 Today I welcome Deborah Niemann of The Thrifty Homesteader. 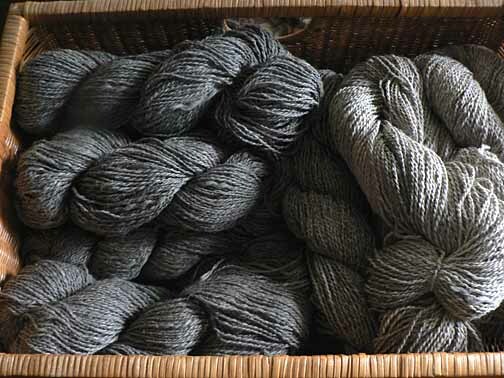 I first learned of Deborah in 2009 ish, when she was blogging at Antiquity Oaks. Deborah’s blog was a wealth of information about goats, and one of our go-to sources when we were raising Alpine dairy goats. She is the author of Homegrown and Handmade: A Practical Guide to More Self-Reliant Living, which was originally published in 2011, and recently re-released with fresh information and new chapters. Deborah has graciously agreed to share some of her experience with us today. All photos courtesy of Deborah. It seems almost inevitable that once you start growing your own food, you will have extra to sell. If friends and family get a taste of it, they may very well start asking or even begging you to sell them your products. Unfortunately, it’s not as simple as setting a price and starting to rake in the profits. That’s exactly what happened when I started making goat cheese, aka. chévre, 15 years ago. Back then, I was selling it to a few friends, and one day I got a phone call from one of them, so excited because she had a big order for more cheese. She needed several pounds of it because her mother had taken some to her doctor’s office, and they had loved it so much, they wanted to buy some. I knew absolutely nothing about the legalities of selling cheese at that time. However, I knew that the doctor and his nurses would be expecting shrink-wrapped cheese with a proper label and a bar code – not a hunk of cheese in a little plastic baggie with no label. I called the state to ask about the regulations for selling cheese and stopped the woman as soon as she mentioned that the price of the smallest commercial pasteurizer was $15,000 – used! That night at the dinner table, my children asked me why I was so quiet. I responded, “I’m just wondering if selling cheese illegally will cost me thousands of dollars in fines or if I’ll go to prison.” They laughed, but I was not joking. Needless to say, that was the end of my little cheese business. Even though I’ve never pursued the licensed dairy, our homestead has turned into a small business. 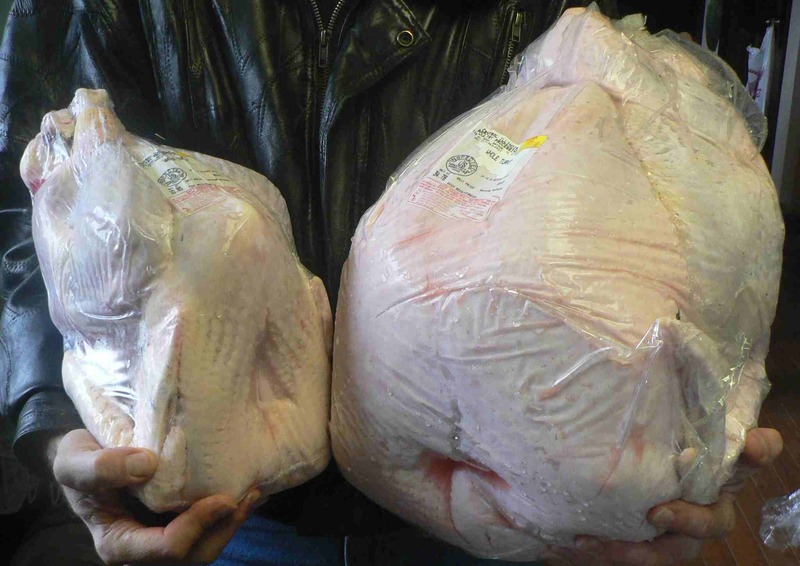 We sell meat from our poultry, pigs, sheep, goats, and cattle, as well as produce from our garden. Once I learned that I couldn’t use my extra goat milk to sell cheese for sale, I taught myself how to make goat milk soap, which I can legally do in my own kitchen. When we still had extra milk, we bought pigs, which have the magical ability to turn milk into bacon. Selling meat is easy if you just sell the whole animal, and as a service to the customer, you deliver that animal to the locker for processing. You tell the locker that the animal belongs to Jane Smith and give them her phone number, so they can call her for processing. The customer pays you for the live animal, and they pay the locker for the processing. For years after my phone call about becoming a licensed dairy, I was very grumpy about what the government would not let farmers do. However, after attending a few insurance lectures at conferences, I realized that liability is a much bigger roadblock than government regulations. Educate yourself about the requirements, risks, and responsibilities that you’ll have when you start selling your products to people. Even though we could legally process chickens on our farm, we won’t do it because of the liability. If someone got sick and sued us, we could lose everything because our insurance doesn’t cover us for on-farm processing. 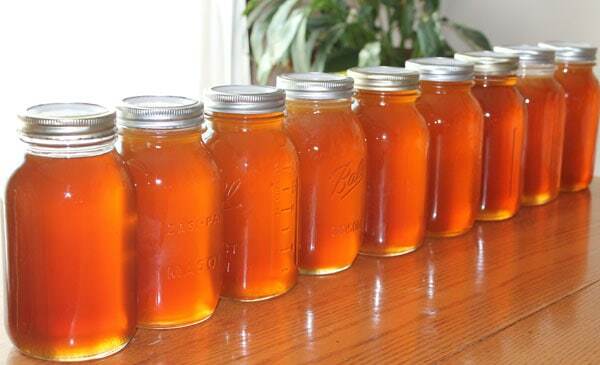 In fact, our last insurance company dropped us when they discovered we offered on-farm homesteading classes. It took a lot of phone calls to find an insurance company that would cover an educational farm. Ultimately, I called another farm that offered classes and sold produce and asked them for the name of their insurance agent. Although I was rather grumpy through this whole process, I later learned that another local farm recently had to pay $100,000 to the family of a child that was scratched by their barn cat – or rather, their insurance company paid out that amount. A mother sued a pumpkin farm when her toddler crawled under a fence and was kicked by their horse. Thankfully the court ruled in their favor, saying the mother had been negligent, but they had to fight a court case. One day when I was teaching a class, I turned around to see that a child had crawled over a gate and was in the pen with our bucks. Afterward, I kept thinking that he could have just as easily done the same thing with our boars, which have huge, sharp tusks and could accidentally slice open a person’s leg if he or she doesn’t know how to move around the animals. Eventually, we decided to become an LLC to protect our personal assets, including our farm, in case the unthinkable happens. A lawyer who frequently speaks at statewide small farm conferences always says no one plans to be the cantaloupe brothers. Remember several years ago when people were dying from contaminated cantaloupes? Medical bills amounted to $15 million, and 33 people died. The final settlement was not disclosed, but the company declared bankruptcy. I don’t want to discourage anyone from turning their homestead passion into a business, because we need more people to produce healthy food. You simply have to educate yourself about the requirements, risks, and responsibilities that you’ll have when you start selling your products to people. You never know when a $5 block of cheese is going to wind up in the hands of a stranger, and if you haven’t followed the rules, you could find yourself in a lot of trouble. Deborah Niemann is the voice behind the Thrifty Homesteader blog and is the author of Homegrown and Handmade: A Practical Guide to More Self-Reliant Living. The second edition just came out and includes new sections on gardening, orchards, home dairy, backyard poultry, and homegrown fiber, as well as new chapters on homegrown pork, maple syrup, honey, and homestead businesses. If you purchase through the above link, you’ll receive an autographed copy with free shipping and two bonuses: a 25-page recipe supplement and a coupon code for free enrollment in Deborah’s online soapmaking class that will launch this month (a $27 value). Click here if you prefer to buy the book from Amazon without the bonuses. 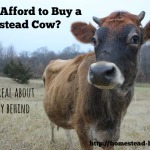 Want to learn more about homesteading? 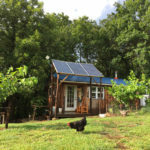 Check out my E-Book on How to Create an Off-Grid Homestead, sign up for my homestead business group coaching or scroll through my homesteading book reviews. 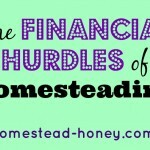 Do you know someone who is creating a homestead business? Share this post with them!